Last week, Egypt's parliament passed a landmark law granting women inheritance rights on an equal basis with men. The new law, which amends a 1943 personal status law that permitted women to inherit only half of the property to which men are entitled, imposes jail time and a fine on any individual who attempts to deny a woman her fair share of financial assets or property. This reform aims to rectify a deep imbalance between men and women in control over assets: a 2010 survey revealed that 59 percent of Egyptian women did not receive any part of their inheritance due to the deeply entrenched cultural norms about women's status. While change is underway in Egypt, legal restrictions on inheritance remain prevalent throughout the Middle East and in countries across the globe: 35 of 173 nations analyzed by the World Bank limit or deny women's ability to receive the same inheritance as male family members. On Tuesday, a top UN official offered testimony to the UN Security Council about sexual atrocities committed against Rohingya Muslim women, urging the body to visit the region and take action to prevent attacks on civilians. United Nations special representative Pramila Patten, who in November requested an independent probe into the Rohingya crisis, called for additional investigation into the systematic use of sexual violence in Myanmar, which is "used as a tool of dehumanization and [a] form of punishment." She and other UN leaders cited credible evidence that Myanmar state forces are not only committing sexual violence against civilians, but also that these violations appear to be condoned by military officials. 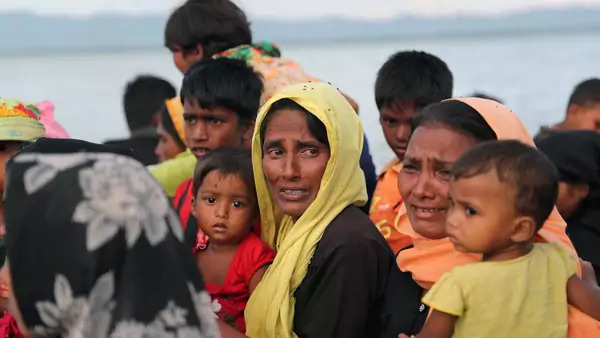 Over 600,000 refugees have fled their homes since conflict erupted in Myanmar’s northern Rakhine State in August, and women have reported brutal attacks and gang rapes, as well as the killing of children in fires and wells. A recent proposal from European Commission officials would instate a 40 percent quota for women on company boards. Under the proposal, companies performing poorly with respect to gender balance in leadership would be required to take additional steps to rectify this imbalance. Previous voluntary policies to promote equity in the workplace doubled the proportion of women on the boards of companies across the EU, from 10 percent in 2005 to 22 percent in 2015. However, women continue to be vastly underrepresented in the bloc's largest companies, accounting for only 7 percent of board chairs and presidents and 6 percent of chief executives. Officials suggest that a mandatory quota for boards would be accompanied by other efforts to improve the implementation of anti-discrimination laws, increase diversity in private sector leadership, and promote pay transparency.